Great content is the foundation of any automotive SEO campaign. How do you know if you have what it takes in order to create great content? 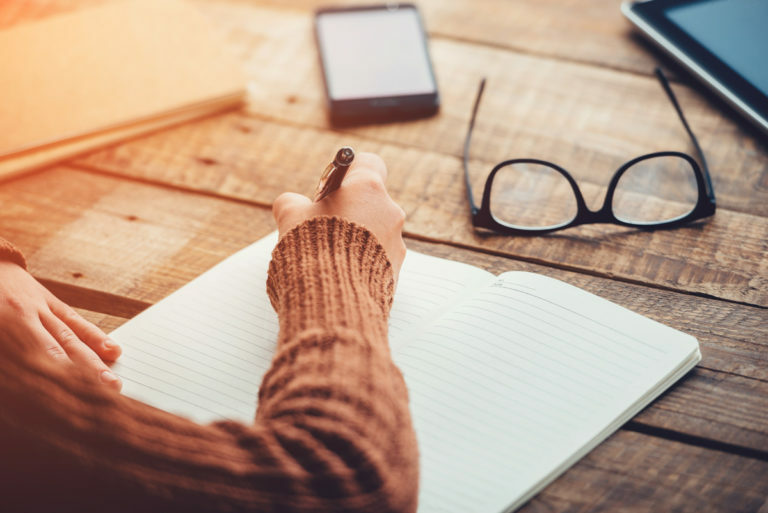 You do not have to be the next great writer in order to create content that works perfectly for search engine optimization, but there are a few things that you should know in order to maximize your talents and make the most of your writing prowess. 1. Know the basics of writing. Besides knowing how to use a comma and semicolon, you need to know how to create content that appeals to a certain audience—your target audience. You want to be able to create content that has the tone and cadence that they want to read. Your probably already have a great deal of information about who your target customer is. Your content should appeal to their age range, education level, and overall atmosphere and style. For example, if your dealership’s brand appeals to more laidback car buyers, your content might have a more conversation and casual style. 2. Learn how to tell a story. Especially when it comes to writing content for your website, you want to be able to paint a picture and tell a story. Your probably know people in your own life who are great at telling stories and who are horrible at telling stories. What makes a great story and what makes a bad story? A great story has fast pacing, is humorous, is perfectly timed, and has heart. Get personal with your readers. They should feel like you are talking directly to them and that you are providing them with vital information that they cannot find anywhere else. 3. Know how to write for various venues. Your website is not the only venue that you are going to be writing SEO content for. For example, you will probably have to write content for your social media accounts, for your blog, for your email marketing campaigns, etc. All of this writing factors into your automotive SEO and it needs to be just as consistently food as the content on your website. The trick is that you cannot write for social media the same way you write for your website. Because the two venues are different, the content will be inherently different. The only way to learn what kind of content is appropriate for what venue is to read what other people write for those venues. 4. Know when to use humor. Humor is one of the great motivators. You want to people who find your website to like you. The more they like you, the more likely they are to leave their computer and to come to your showroom to make a purchase. If you have the ability to infuse your writing with humor, real humor (nothing cringe-worthy or eye-rolling), you should be able to convince a larger portion of your audience to act. The automotive industry is one where this is under-utilized. If you can make your readers laugh, you will have them. 5. Know when to research. You might think that you know plenty about the subject you are writing about, but if you run into roadblocks, if you are having difficulty fleshing out a certain section, it is time to turn to the internet and its plethora of research materials. Don’t be afraid to research. Even if you think you know a topic inside and out, there is nothing wrong with verifying your own knowledge. You want to make sure you are always presenting as accurate information as possible to your readers. 6. Know what constitutes good SEO. Automotive SEO is far more than just inserting keywords into content that you have written. Too many people spend too much time focusing on keywords and not nearly enough time on every other aspect of search engine optimization. This results in content that is stuffed with keywords and has none of the aspects of content that is actually optimized. If you want to write content that is effective for your SEO campaign, you have to know what actually constitutes good SEO. 7. You know your target audience inside and out. You should know your target audience as well as you know yourself. Just as you have your own innate sense of what you need or desire, you should know what they need or desire. If you understand them completely, you will have no trouble creating content that meets their needs, that succeeds on every single level. At the very least, look at your demographics on Google Analytics to understand who your audience is, where they are coming from, and what you can offer them in order to encourage them to stay on your website and then visit your dealership. SEO is always changing. It might not be changing significantly, but it is in a state of flux, so much so that the SEO of five years ago looks very little like the SEO of today. You need to be flexible enough that when you hear about something new that is happening in optimization, you can adapt to it. One of the biggest mistakes you can make is to learn as much as you can about SEO and then to cut yourself off from news about optimization and just truck forward. You will miss out on important updates that could help you keep your dealership’s website relevant.